David Bachman's bread-and-butter work was "job printing": designing and printing paper items for local businesses. David's business savvy allowed him to corner the market for printing for local druggists. David kept archived samples of his job printing. 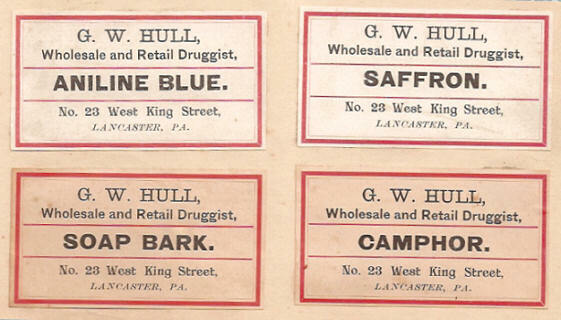 These druggist container labels are from his archive. Here in Lancaster County, our farm families' favorite use of the saffron herb is to flavor our egg noodles and to color our chicken-corn soup a crayon yellow. Foodies often describe saffron as "the world's most expensive spice." 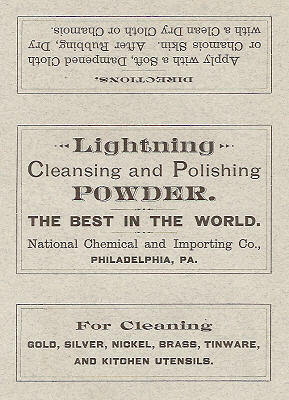 But if it's been growing behind your barn for 100 years, it's as cheap as dirt.